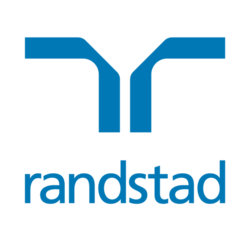 Randstad has become a true global player in the world of work in the past decade, by growing organically and by various mergers & acquisitions, of which Monster Worldwide is one of the more recent additions. In the technology-driven world of talent, Randstad is going through a digital transformation that has a major impact on Randstad's strategy, business models, way of working, and brand. It is a time of change, offering major opportunities for our own employees, our clients, candidates and other stakeholders. As a scrum master you will support one or more scrum teams within Randstad IT (APAC), ensuring that the agile way of working is understood and applied properly. You will ensure that the development teams, business representatives, the product owner, and management adheres to the scrum framework, and applies the agreed agile practices and rules adhering to the way of working. You will join a passionate team and you must be open to challenging yourself, while helping to drive a “work where the work is” approach. This is a unique role as the ideal candidate will have the opportunity to shape our agile environment. extensive understanding and practical application of scrum methodology such as backlog tracking, burndown metrics, velocity, cycle time, task definition and use of JIRA, Confluence and Google Suite.